Great place. Lovely staff, cute accommodation, perfect location. 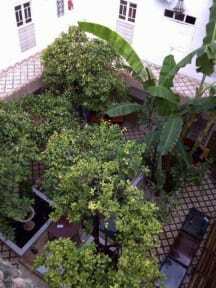 Riad is beautiful and located in excellent part in Medina. We stayed 4 nights in this Riad and we are more than satisfied. The rooms are wonderful and clean, breakfast is delicious, but the most important thing to mention are the hosts. Amin and Soufiane made our stay! They are treating all their guests with special care and they are always there to help. True example of what hospitaly should look like. 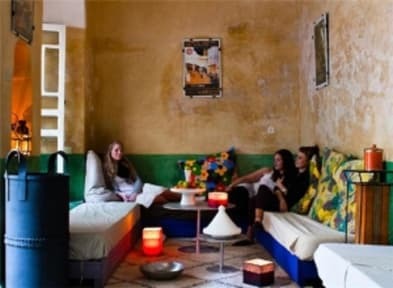 We highly recommend this hostel! The staffs were two very decent and helpful gentlemen. However the hostel was not easy to find, the map on website is not correct. Prepare some local notes, maybe 20 DH or you will have to pay euro notes for some kids/teenagers to guide/follow you to the hostel. The first time we were brought to the WRONG hostel, and the owner tried to scam us! Just be careful to greedy man. P.S. Do not go to the No.1 bbq booth on the market, they overcharged. We had the same food for half price at the others. Negative: A bit hard to find, as there are no signs or anything. Very noisy and bad acoustics and soundisolation. It felt like people out in the courtyard could hear everything we talked about in the "private" room. Positive: Pretty okay hosts. Friendly and good at english. Good points - great location. Clean. Cheap. Bad points - No key given for riad. Must knock every time to enter. Guys who work in the riad had friends over for drinks and were loud making lots of noise outside our room until past 1am, even after we asked them to be quiet. Woke up for an early flight, but were locked in the riad. Had to scream and shout to get them to wake up to get the door unlocked. They wouldn't accept credit card payment. Only cash. Overall we had a terrible experience.